Hello! 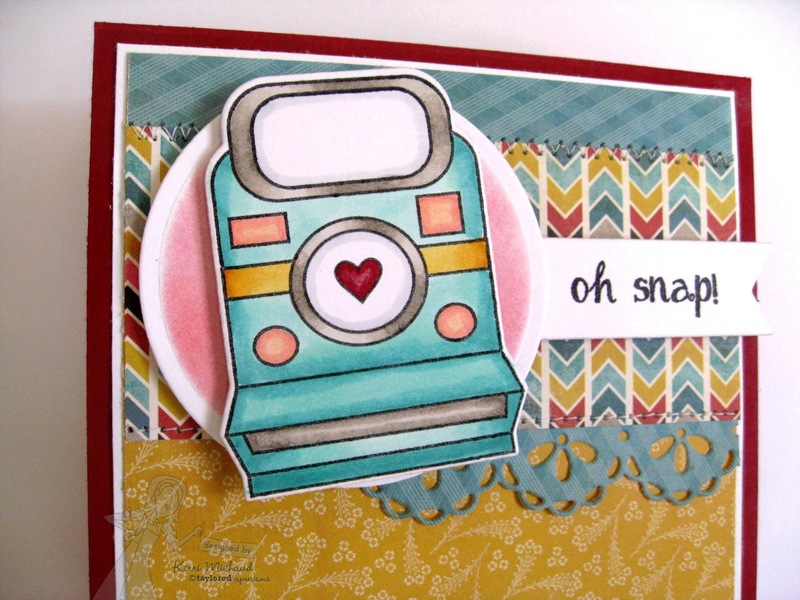 I wanted to share a card I made using the Oh Snap stamp set from Taylored Expressions! I didn't have a chance to play with this set during release week, and I've been so anxious to ink it up! 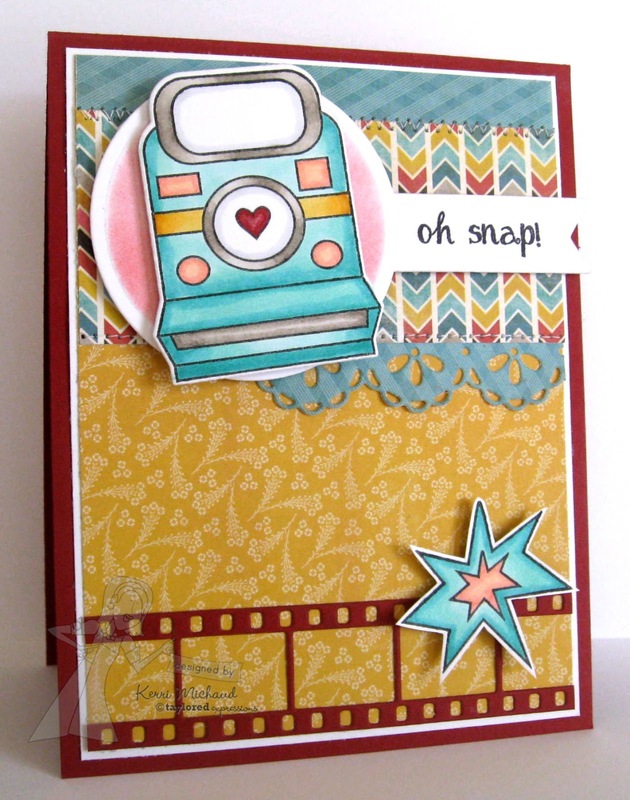 I also used the coordinating Oh Snap Cameras Dies, and the fabulous new Film Strip Border Die! 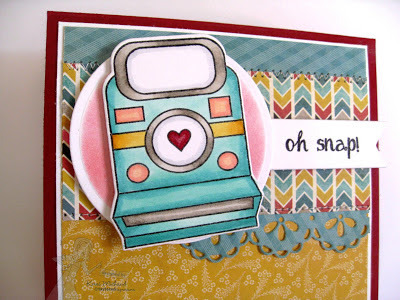 I also used the very pretty Lace Chain Border Die as well as the Banner Stacklets 1 Dies for my sentiment. The layout I used is the Deconstructed Sketch #93! Well, I have some exciting news! We sold our house after being on the market for 1 day and having 1 showing! It's so crazy, and we now have 3 weeks to move out and to find a short term rental until our new house is completed which is projected to be around mid-August (I hope!!!) We are going to be quite busy, and I am going to try to keep up with everything the best I can. I will be taking a break from The Color Throwdown, but hope to rejoin the team once we get settled. That's it for me! Thank you so much for stopping by, and have a wonderful rest of your weekend! 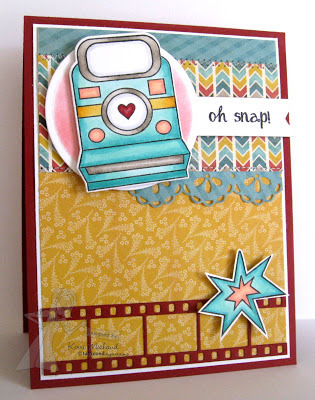 Bright & Cheery, and I love that border! CONGRATS on selling your home so quick...even though life will be crazy for ya for a while! Fun card, Kerri! Congrats on the sale of your home...good luck finding a temporary place and settling in!